Yes, I am back to bread making...only after a few days break! I made a plain loaf on Sunday and a batch of chocolate sweet buns this morning. I am really mad over bread making lately...thanks to my bread machine...I have been thinking nothing but making bread, bread, bread! I used to wonder how bakers made those slits in between the buns. Thanks to a Chinese Cookbook "Bread Magic" which I bought many months ago, I am able to make this roll myself! There are many useful step-by-step photos in this cookbook, great for understanding how different bun shapes are formed. I used the bread machine to knead the sweet bun dough and made the chocolate paste from the Chocolate Swirl Bread recipe. This time round, I made sure the chocolate paste was really thick before removing it from the heat. As a result, the chocolate paste didn't ooze out when I tried to roll the dough. I like how a danish bread looks when it is plaited into a big loaf. Since I have yet to venture into danish breads, I tried my hand in plaiting a small bun instead. After filling a piece of dough with the chocolate, I rolled it into a rectangular shape and cut into 3 strips. After plaiting the 3 strips, tuck in the two ends underneath. Now, I could imagine how my "future" danish loaf would look like. I made these mini-buns by following this method. The effect is quite nice and I think it will look good on a big loaf. We have promised the boys we will catch the Spiderman 3 movie once the school exams is over...and here's my prelude to the movie...spidy buns! Add coca powder into the milk and sitr till cocoa powder is incorporated into milk. Add egg white mixture into the cocoa mixture and stir over low fire till mixture thickens. Leave chocolate paste to cool. Keep refrigerated before use. Mix all dry ingredients in a mixing bowl. Add in milk and egg. Mix into a dough. Place the dough on a lightly floured work surface. Knead the dough until the gluten is fully developed and the dough is elastic, smooth and non-sticky. It will take about 25 mins to knead the dough by hand. Initially the dough will stick on to the work surface. This step can be done by bread machine by selecting the Dough function and stop the machine after the kneading cycle is completed (20 mins). Place the dough in the mixing bowl and cover with a damp towel or cling wrap to seal in the moisture. Allow the dough to proof until double in bulk. Flatten rounds and add fillings as desired. Shape as desired. Arrange dough in a greased or lined pan. Let rest for about another 30 mins. Brush the top with egg wash (mixture of egg yolk with 1 tablespoon water). Bake for about 15 minutes in a preheated oven at 180 degC. They look amazing, SH. And I love the spiderman!! Lolz...I just caught the movie today and it was a good one, bout 2 hrs. Guess what? I'm hook on bread making too. I'm gonna try this tmr morning! Hee... I just love seeing your bakes. I saw the pictures in your flickr...I must say, you're quite a baker! 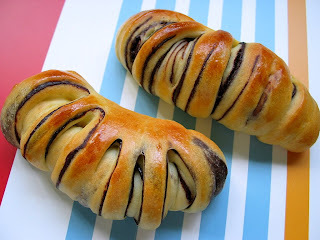 my family loves chocolate filling in bread so maybe next time I have to make these too :) sadly I don't have a bread machine anymore, I just use my stand mixer. These are beautiful! And the Spider Man ones are perfect! These are really nice. My son was urging me to make the spider man for him :) Impressive! 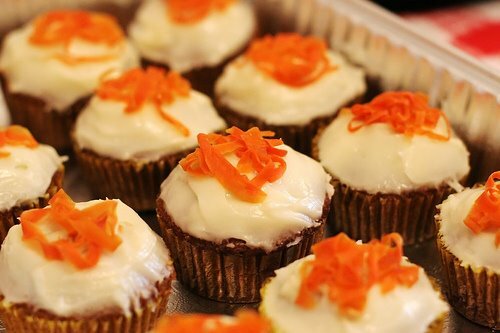 Jace, I saw your recent flickr photos, your buns sure look yummy! Eliza, nah, I just started baking not too long...I merely follow the steps and ideas from cookbooks. Patricia, Anne, thanks for your kind comments! It certainly helped that I have made spiderman paper masks for my kids before. U made it! 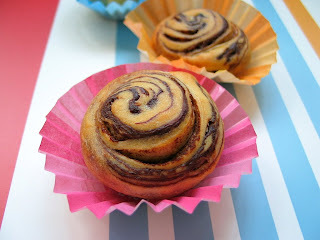 I love every piece of the chocolate swirls and twirls especially the 2nd one, it look so complicated! How long did u hv to cook the chocolate paste? the spidey bun!! i remember buying them from Breadtalk some years ago. There's cream cheese filling in the bun but they discontinued the bun already. Nice blog! Sorry for my blunder yesterday. Paiseh! Beautiful buns u got there.. awesome! I can't bake very well...just started baking only a few months ago...there's still lots of room for improvement! After baking them, the crust is slightly hard, not soft at all. Is it supposed to be like that? Hi Cherie, no the crust should be soft, not hard...I am not sure what happened to yours? but don't give up okay, "jia you"! Those look awesome. I love the Spider Man! Hi HHB, ur bread n buns look really beautiful, like store bought ones! Could u advise which oven n model number ur using? Thks! Hi Sarah, my oven it's quite small, it's Tefal (model:V5750)just about 20L. Your oven has got many more functions than mine! If I am not mistaken, from the Jap site, you can actually use it to proof bread dough at 40degC? How cool! I usually bake a whole loaf(about 1 lb loaf sizs, using around 300g-450g of flour) at 180deg C for 30mins. Is active dry yeast same as instant dry yeast? Sorry for my ignorance! active dry yeast will only activate when dissolved in lukewarm liquid. So for recipes that use active dry yeast, the yeast is usually added to the liquid first, before adding to the other ingredients. i love ur spiderman buns!! For the web, do we use just melted cooking choc or melted choc chips? Hi Rachel, I melted some baking chocolates for the web...and dissolved some icing sugar with a few tiny drops of water for the eyes. However, due to the hot weather here, the icing for the eyes melted away very fast. I would suggest that you use white choc for the eyes as well. Do note that the bun surface is round, so once you put icing on the eyes, it'll started to drip down if the icing is thin. I believe white chocolate will have a thicker consistency, and will have less problem. hope this helps. Thks for ur advise n tips! Ur so nice n helpful! i saw the title for these buns and figured they were both cute and yummy...they are definitely the former, but i want to bake them for myself to see if they're as good as they look :D! you have such yummy pictures! Let me know whether you like it! You have a very nice blog, I like the clean cut lay-out, great job! hihi.... u mention about the chinese book "Bread Magic".. may i know where can i buy it? Hi Karen, you can get the book from Popular. Mmm, those look awesome! Thanks for the swirly bun link too, that comes in handy!! OMG! I accidentally stumbled onto your blog and it's awesome! I love bread and especially these red bean, green tea and chocolate varieties. I used to leave in Los Angeles but have since moved to Central California. There were lots of nice bakery in LA and I just love the bread there. Since moving here, eating seems to be a dream only. I am going to try some of the recipe you posted. They looked delicious. 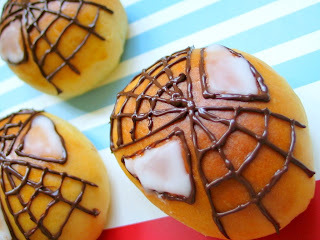 HHB, loved the Spidey buns. I must now bring over my kids to see your loaves - they may drive me into trying some...for now I am not as creative with my breads! I happened to buy a copy of the book Bread Magic too. Indeed it has many good pic to show how we can shape our bread. I notice tt they have quite diff recipe for their bread but you do not really use their bread recipes. May I know if you have tried them? How diff are they with the ones that you used? Hi Anonymous, yes it is a good reference book. I like to flip thru it to get ideas for making buns...both the shaping methods and the kind of fillings to use. However, so far I have only tried the basic sweet bun and the pullman loaf recipes. Somehow, the texture of the breads were not as good as the other recipes. As such, I hardly follow the recipes from this book. thanks, I guess more or so too :) Really want to thank u for answering my numerous ques on bakng and cooking. I'm truely inspired by ur blog, your talents and ur helpfulness. HHB, can I make this with black sesame paste instead? I've made the chocolate paste numerous times but it's just a lil' tasteless probably cuz of the brand of cocoa powder I'm using. Sorry HHB, one more question. How much filling to use to a 50g of dough? I think the filling matters because I made chocolate wassant from Florence's blog and I did not use 300g of filling as she mentioned (I used all which was about 350g!) and ended up, the end product has got chocolate paste showing up all over. Hmmm, more pics to you later. Hi, I am not sure what is the consistency of your black sesame paste...it has to be quite thick (just like the chocolate paste) and not runny, otherwise, the fillings will ooz all over upon baking. I simply go by estimation. I used up all the chocolate paste and I didn't even measure the overall weight of the chocolate paste. i also thought that it could be great in one big loaf, the twisted danish ones! HAve a bread machine liao so can look into your bread recipes. 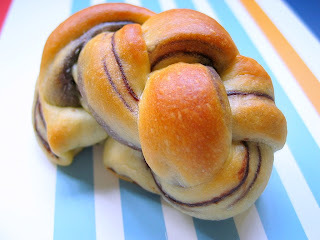 I went to your link for the method of making that chocolate round swirl bun ... but its in japanese? you know japanese? 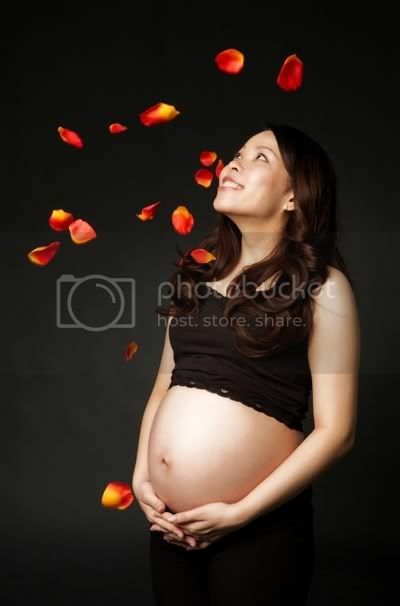 stupid me doesnt understand the pictures. Will see if you are available to help when i bake it in future. Sorry, just reading your old post and noticed the spiderman word and followed to this post. My youngest son love the Spiderman very much, the spiderman bread is very cute and nice. I will steal this recipe and bake for my son later. wish to ask.. for the choco paste.. when u add in the cocoa powder into the milk... is it lumpy? Hi Elaine, when the cocoa powder is first added into the milk, it may appear to be lumpy, but after stirring, it will be fully dissolved and there won't be any lumps. Hope I have answered your question? --> is the dough ready when using a standing mixer, the dough does not stick to the sides of the bowl? cox i did the stretch test, kinda tore too soon, i duno isit cox i took too little. but after that i knead for a while and i realised the bread is ready! next qns, do we need to cover the dough while resting the bread after the 1st proof?? Hi Anonymous, I don't think the dough will be ready yet even though it no longer sticks to the sides of the bowl. You should do the stretch test, you can take a small ball of dough (not too small piece) and stretch it, the dough shouldnt break too easily. thanks for the advice =) i will try one more time to ensure it passes the stretch test! oh btw wud u recommend to use tangzhong in this receipe?? and if do, hw much??? thanks!! Hi Lynn, my knowledge on baking is very limited, I do not know how to adjust this recipe with using tangzhong. I am sorry, I'm of not much help. I've just tried making these buns. But the buns turned up a bit hard, not fluffy and soft. I used bread machine for the kneading and 1st proof. 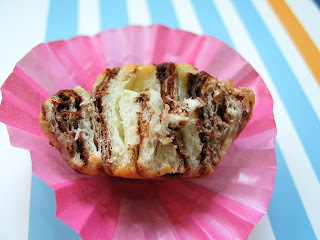 Also, how do you make the chocolate paste thicker so that it will not ooze out from the buns? Can you enlighten me? Thanks for your prompt reply. I will definitely try to make the buns again. I like your lovely rolled and braided buns and wish I could make the same! juz wondering, hw shud the bread dough feel, wet or dry? and hw i Noe if i need to add more water or flour to adjust the consistency?? Hi Lynn, this is a tough question. I am no expert in baking, so I am not sure whether I'm able to answer your question correctly. If I were to use my bread machine to knead the bread, I will let it knead for 30mins. I don't even do the pane test now. The texture of the finished bread will be ok. If I were to knead by hand, the dough will be very wet, just like a thick mass of batter. After adding the butter, it will still be sticky and breaks easily. Only after at least 30mins of kneading by hand, the dough will then become smooth, elastic and no longer sticks to my hand or the work surface. The dough should not tear off easily. For me, I always follow the recipe exactly. I won't try to adjust the water or flour amount. Unless a recipe specifically states eg, use 150-160ml. I will then go for 150ml and if the mixture doesn't come together to form a dough, I will add some more water. However, if the dough is being mixed using my bread machine, usually the initally few minutes, there will be some flour at the sides/corners of the pan. It may give the wrong impression that there is not enough water. However, after a few more mins of kneading, it will all come together. I suspect you may have under-knead the dough. I have no experience using an electric mixer to knead, so I can't give any advise on how long it will take. Not sure whether I have clarified your doubt? If not maybe you want to try other recipes whereby an electric mixer is used for the kneading? Hi HHB, thanks for the reply, usually i follow receipe closely except for reducing sugar amts. so i also duno where i gone wrong, as i followed the receipe. i managed to find a clip on YT, but i realised after adding the butter to the dough, my dough nv becomes smooth & elastic. here is the clip: http://www.youtube.com/watch?v=YMBBGib2sw8&feature=related. but aniwae i think i will try again n again. Oh btw, hw does the dough feel if the 'right' amt of water is used to incorporate to the dough? (thou i follow exactly as the receipe) cox tt time i watched Rachel Allen's BAKE on ch16, but she din exactly sae hw it shud feel. Hi Lynn, wben the ingredients is first mixed and being gathered into a dough (by hand), it will feel soft. Once I transfer it to the work surface to knead, it will feel very sticky and wet, like a thick batter as mentioned in my previous reply. After kneading, the dough will feel soft, smooth and elastic...what most cookbooks will describe it as 'baby's bottom'. thanks for the tip! i dunO if i will use hand to knead cox i dun have a proper worktable! =( hmm but thanks! i will try it again until i succeed!! I made this "Bacon and Cheese Bread" posted under "My Bread Basket(loaf)" yesterday. I used the breadmachine to knead the dough, the dough is quite easy to work with, not sticky after kneading. The bread texture is very soft. You may want to give it a try. ok i will try tt bread receipe some time soon!!! Wow you are very talented, these look like right from a bakery window!! Hi there, i noticed that there is aldy a loooonnnggg string of comments n qns fm many folks, so my qn is prolly asked somewhere along the thread aldy...but it's really too long for me to sieve thru. Hi, you can use a stand mixer to knead the dough as long as your mixer has the kneading function. However, I do not own a stand mixer so I am not able to comment on the time required to knead the dough. Hi when to add in the butter for the bread dough? Hi, if you are kneading by hand, you can knead in the butter after the dough has become smooth (may take about 10 to 15mins). if you are using a bread machine, let the machine knead for about 8 to 10mins by then the dough will become smooth and form a ball. you can then add the butter. hope this helps.